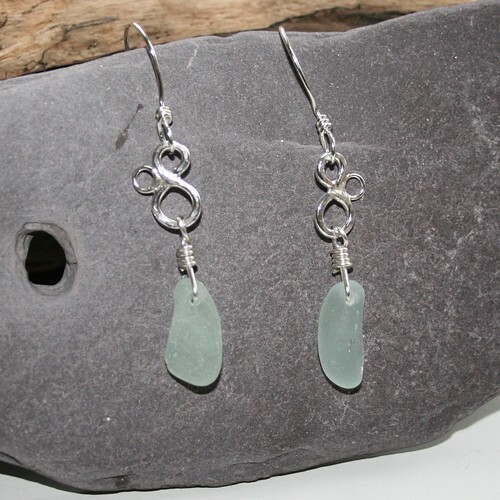 New for 2011 is my Sea Foam range all featuring handcrafted silver bubbles and sea glass collected locally. The bubbles are created by soldering together loops of silver wire and gently hammering to create a lovely light reflecting surface reminiscent of the shimmering surface of the sea. This pair are currently available at Crown Studio Rothbury and new pieces will be coming to my website soon.